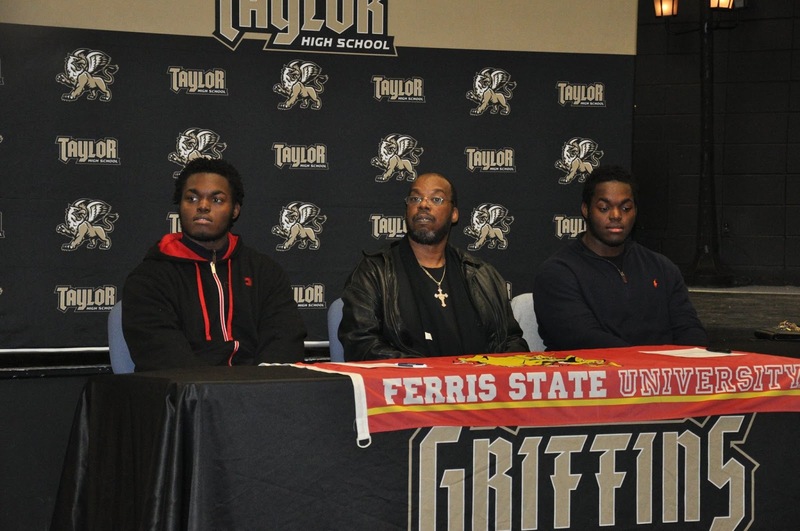 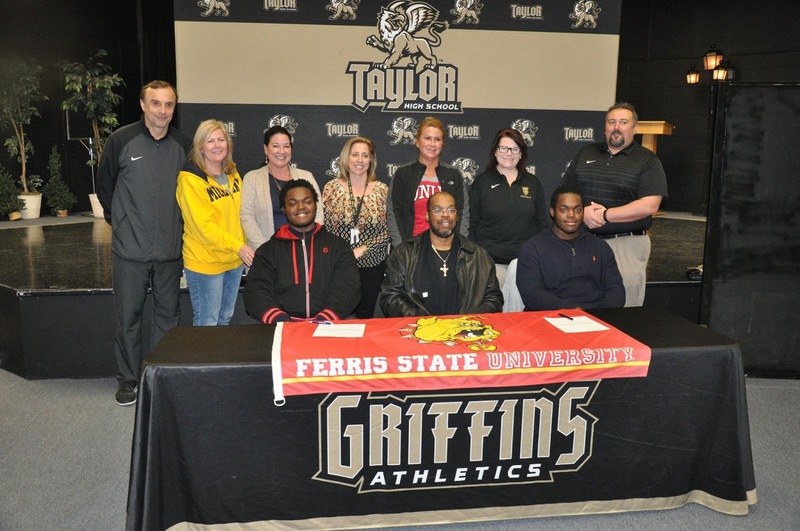 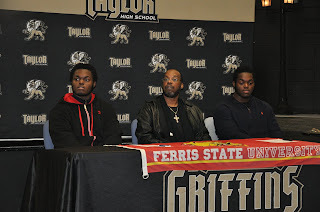 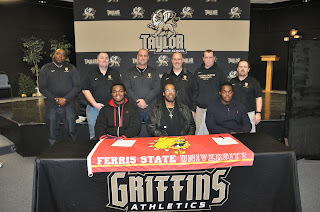 Coach Jeff Morrow thinks the Ferris State University football program is fortunate to be getting Taylor High School twins John and James Fletcher. 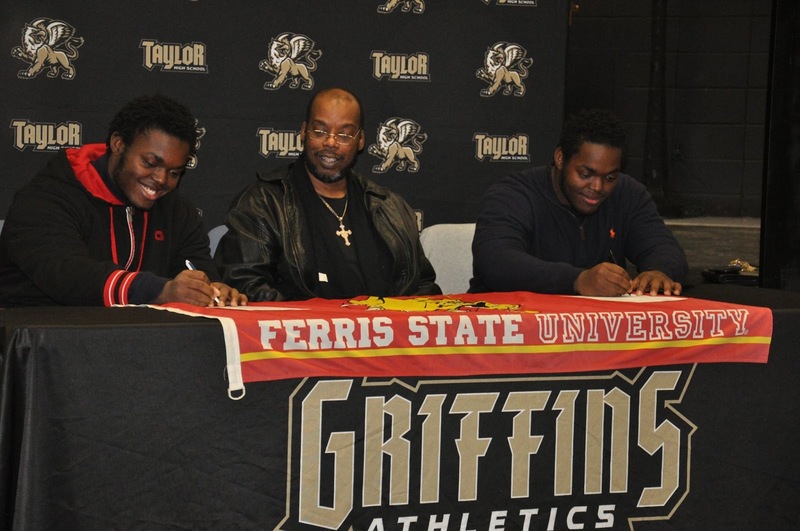 The twins, two-way linemen who weigh around 300 pounds and are well over 6-feet tall, signed college letters of intent to play with the Bulldogs next year. The pair will graduate in June. 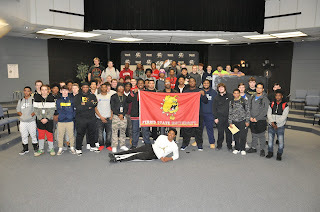 John and James were joined by their father, the entire Griffin football staff, members of the school faculty and the rest of the THS football team in the Little Theater today (February 7). Coach Morrow felt that both of the twins could have gone to bigger schools, but since THS didn't have an outstanding record last season, they went overlooked. 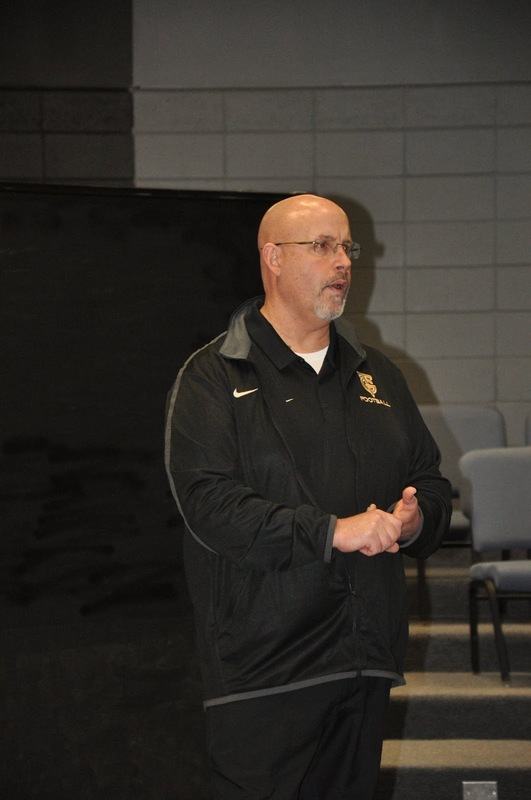 "They fell through the cracks a little," he said. 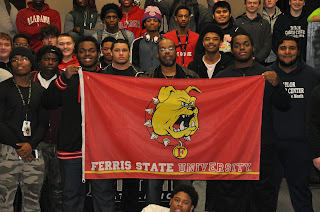 "But Ferris really wanted them and we got things done quickly. 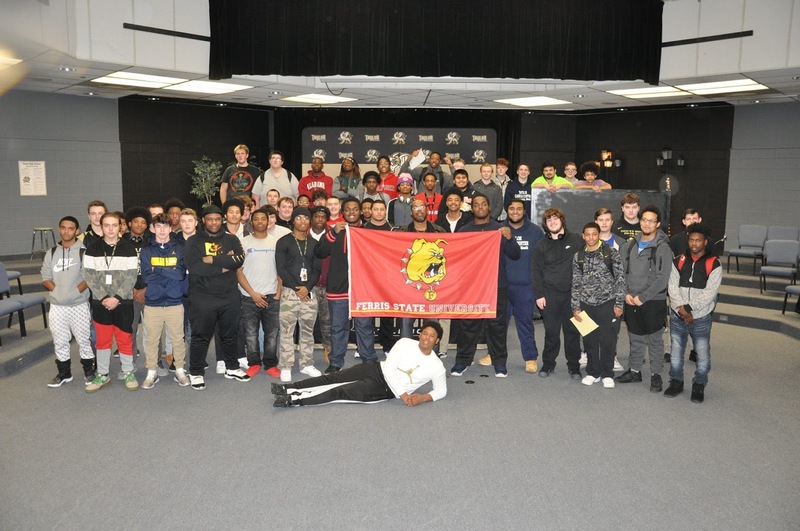 Ferris State had a tremendous season last fall and ended up the NCAA Division II national runners up. 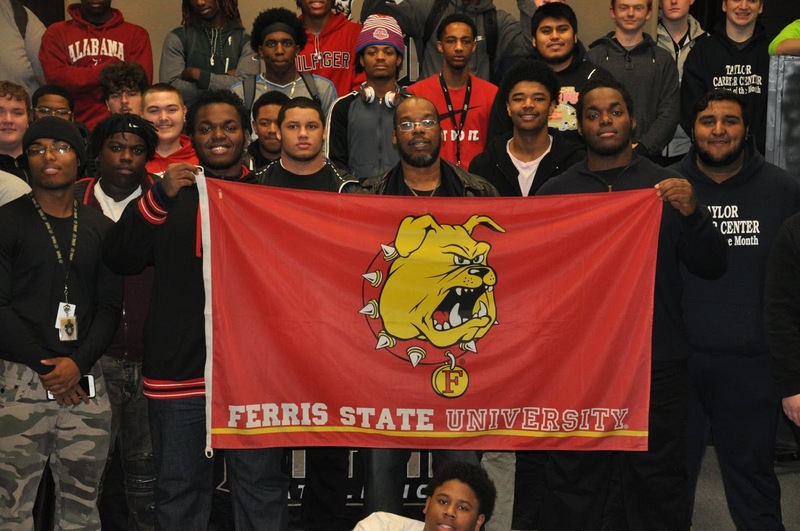 Valosta State won its fourth national title with an unbelievable 49-47 victory over the Bulldogs.